A medley of bright summer flowers…a clutch of heirloom tomatoes ripening on a backyard vine…a hammock placed just so. A fountain burbles next to an arbor of wisteria arcing over a rustic stone pathway…and on the scented breeze, a whisper of honeysuckle. This is my passion: I transform outdoor spaces into beautiful and useful gardens that bring pleasure to people and enhance the value of their property. 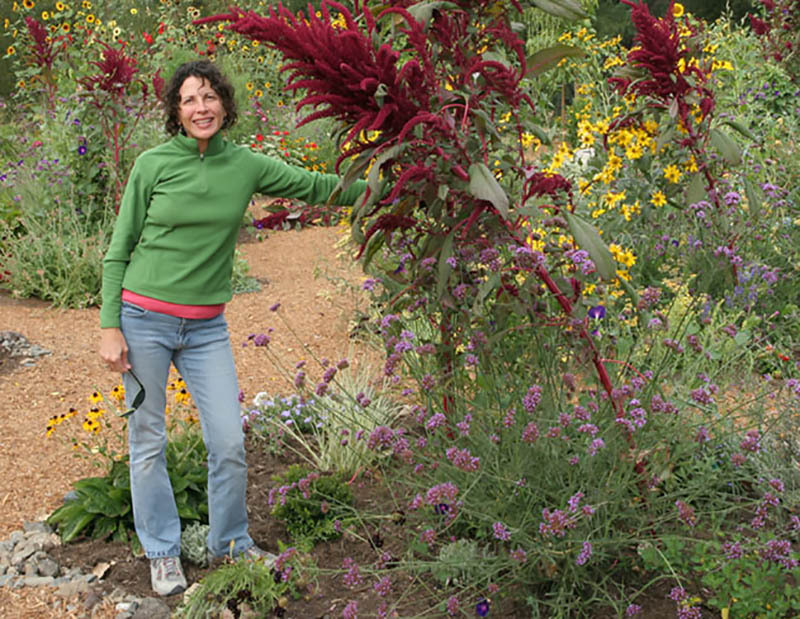 For more than ten years, I’ve specialized in creating drought-tolerant and California native gardens—ornamental and edible—that attract beneficial insects and pollinators and that affect the natural environment in a positive way. I have a B.A. in Environmental Sciences and Botany and five years experience performing plant and wildlife surveys for the State of California. Plus a background in vineyard research through the University of California Cooperative Extension program. As a California State Parks Ecologist I managed the resources of 70,000 acres of public land. I bring all this experience and knowledge to every garden I design and install.